I have observed with a growing concern how repentance is no longer a clear call in much of today’s preaching. This may not necessarily be true all over the world but as I listen more and more to various preachers on African soil this is certainly true here on our continent. The vast majority of preachers treat sin more like a disease than a state of rebellion. Hence, the remedial approach is that of “deliverance” rather than a call to repent. Was that the prevalent view in the Bible? Let us look at the New Testament preachers. 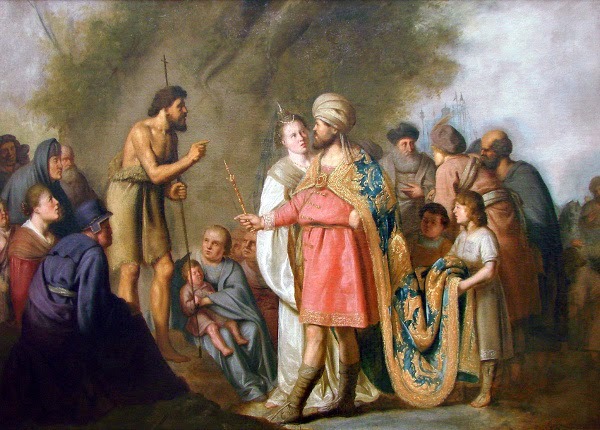 The preaching of John the Baptist is referred to this way: “In those days John the Baptist came preaching in the wilderness of Judea, ‘Repent, for the kingdom of heaven is at hand’” (Matt. 3:2). What about the preaching of Jesus? It was exactly the same: “From that time Jesus began to preach, saying, ‘Repent, for the kingdom of heaven is at hand’” (Matt. 4:17). 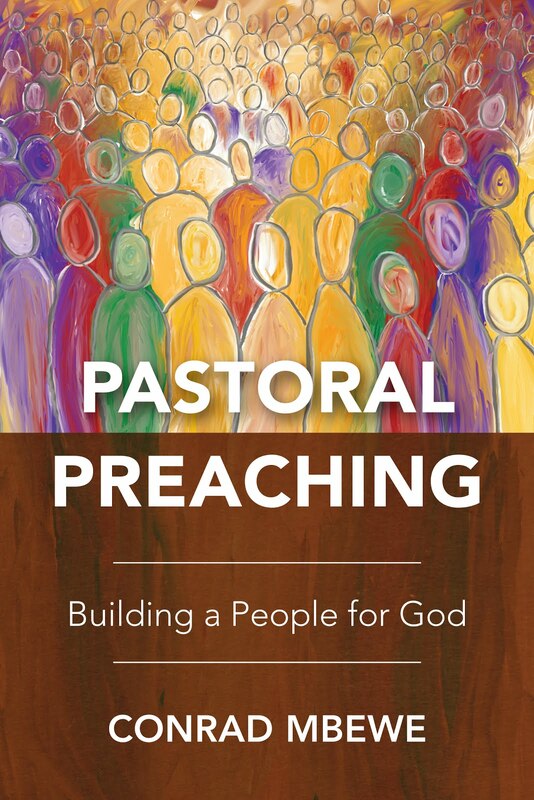 How does the Bible describe the preaching of the apostles in the Gospels? When Jesus called the apostles and sent them out to preach the gospel, Mark describes the event in this way: “So they went out and proclaimed that people should repent” (Mark 6:12). By the time we get to the book of Acts, it is as if the floodgates are opened. On the day of Pentecost, when the apostles were asked by those under conviction as to what they should do in response to Peter’s sermon, he (Peter) replied, “Repent and be baptized every one of you in the name of Jesus Christ for the forgiveness of your sins, and you will receive the gift of the Holy Spirit” (Acts 2:37-38). After the healing of the cripple at the Temple, Peter told the gathered crowd, “And now, brothers, I know that you acted in ignorance, as did also your rulers. But what God foretold by the mouth of all the prophets, that his Christ would suffer, he thus fulfilled. Repent therefore, and turn back, that your sins may be blotted out” (Acts 3:17-19). When Simon Magus tried to increase his witchdoctor powers through bribery, Peter did not tell him that he needed deliverance. Rather, he said to him, “May your silver perish with you, because you thought you could obtain the gift of God with money…! Repent, therefore, of this wickedness of yours, and pray to the Lord that, if possible, the intent of your heart may be forgiven you” (Acts 8:20-22). That was Peter. What about Paul? When Paul was preaching on Mars Hill in Athens, his sermon ended with a powerful appeal: “The times of ignorance God overlooked, but now he commands all people everywhere to repent” (Acts 17:30). Later, towards the end of his ministry, this is how Paul summarised his entire ministry: “Therefore, O King Agrippa, I was not disobedient to the heavenly vision, but declared first to those in Damascus, then in Jerusalem and throughout all the region of Judea, and also to the Gentiles, that they should repent and turn to God, performing deeds in keeping with their repentance” (Acts 26:19-20). As the New Testament was coming to its close, Jesus sent seven letters to the apostle John to be sent out to the famous seven churches. Five of the seven included a very clear call to repentance. The very first one was, “Remember therefore from where you have fallen; repent, and do the works you did at first. If not, I will come to you and remove your lampstand from its place, unless you repent” (Rev. 2:5). Evidently, repentance was not a side issue for the New Testament preachers. It went on to characterise the most powerful preaching of evangelical ministers right across the ages. 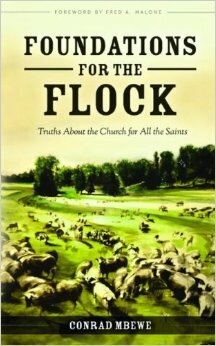 Read the preaching of the early church fathers, the Reformers, the Puritans, the preachers of the Great Awakening, etc., and you will see that it invariably included a call for sinners to repent. To their minds, sin was primarily a state of rebellion and not merely a disease or enslavement that people needed to be delivered from. Why should we, as preachers in the twenty-first century, still preach repentance? Will it not simply alienate people from us and thus empty our churches? Repentance is a condition of the heart when a person admits their error and turns away from that error. It is best summarised for us in Proverbs 28:13, “Whoever conceals his transgressions will not prosper, but he who confesses and forsakes them will obtain mercy.” So, repentance is both the confession and forsaking of sin that comes from a heart that recognises its own failure to comply with God’s lawful demands. With respect to salvation, repentance is simply the other side of the coin of faith. That is why sometimes the appeal of the apostles in Acts was simply summarised as, “Repent…for the forgiveness of your sins” (Acts 2:37-38), and at other times it was summarised as, “Believe on the Lord Jesus and you will be saved” (Acts 16:31). These are not two ways of salvation. The summaries only mentioned one side of the coin. Thankfully, there were times when the apostles summarised their preaching in a way that captured both sides. Paul said, “I did not shrink from declaring to you anything that was profitable…testifying both to Jews and to Greeks of repentance toward God and of faith in our Lord Jesus Christ” (Acts 20:20-21). The two invariably go together. Why then are we not preaching repentance today? I think that the first reason is our unbridled quest for numbers. If you preach repentance you will only keep those who repent, while if you stop preaching repentance and instead major in motivational speaking everyone will want to come and hear you. Do the maths and you will see why self-help sermons have become the primary diet of many pulpits today. They draw and keep the crowds. And with the crowds come the money. This is the first reason. There is, however, a second reason and I have already alluded to it. There is a growing view in today’s evangelicalism that sin is primarily a curse people are victims of and so they need to be delivered from it. This has become the dominant view across the African landscape. Chronic adulterers, for instance, are being invited to deliverance sessions instead of being called upon to repent. That is wrong. If John the Baptist had such a view, he would not have called upon Herod to repent of his adulterous affair with his brother’s wife, Herodias. Rather, he would have asked him to attend a deliverance session in the desert and thus he would have spared his own life from an early grave. The main difference between the new “deliverance” movement and the old evangelical “repentance” movement is that the latter assumed human responsibility for sin. A sinner is not a victim of a generational curse from which he needs to be delivered. He is a rebel who needs to give up his guerrilla warfare against God. He needs to come out of the bush with his AK47 in the air and become a law-abiding citizen in God’s kingdom. The failure to understand this difference has filled the church in Africa but it has filled it with goats! Men and women are not being confronted with the sinfulness of their sin. They are not being caused to see that they are rebels against God’s majestic law. They are not coming under Spirit-born conviction of sin and so they are not coming to the crucified Saviour in repentance and faith. Instead, they are coming to the preachers with their problems of debt, failure to have children, joblessness, anger, illness, etc., in order to be delivered. Everything is being blamed on some generational curses or demons. Let us remember that salvation is a work of the Holy Spirit. He will use our message of faith and repentance to bring souls to himself. Those whom God wants to save will not run away once they are confronted with the fact of their rebellion against God. They will know that it is the truth and the Spirit of God will draw them to the Son of God for salvation. They will come repenting and believing in response to our gospel message. There is a coarseness to the gospel message. Yes, it is good news because it speaks about a Saviour that has been sent from heaven who rescues us freely from our sin. However, at the end of that good news comes the condition of benefitting from it. That condition includes a call to repentance. People do not become Christians while they are whistling and feeling nice about themselves. They must be broken by conviction of sin! 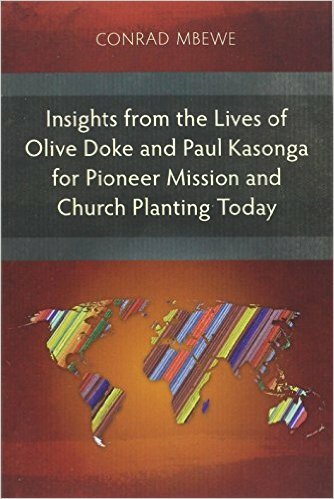 Do we want to see churches across Africa filled with truly converted people? Then let us restore the preaching of repentance to its biblical place. Yes, to begin with it will empty our churches but that will not be a real loss. People will simply go where they truly belong. However, as we faithfully maintain the message of repentance towards God and faith in our Lord Jesus Christ, the Holy Spirit will begin to draw his people to himself in true conviction of sin and conversion. Our churches will begin to fill up with people who are truly saved and going to heaven. Our worship will become truly spiritual because it will be coming from hearts that know and love the Father, the Son, and the Holy Spirit!